In the bars of Spain you will always find tourists who drinks Sangria. Maybe they feel themselves the Spaniards, sipping this divine drink, maybe they just like the taste … Sangria — the most popular Spanish cocktail for parties. It is considered that it appeared about 400 years ago in the South of Spain. Most likely, originally it was just a mean of using tainted fruit, which are abundant in Spain. 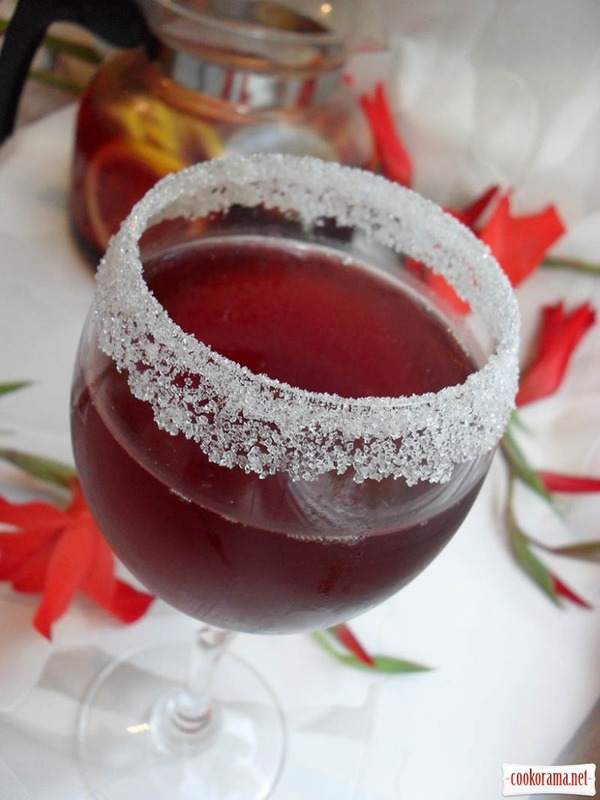 Sliced fruit mixed with wine, and you got surprisingly tasty drink! Then recipes perfected, and there accumulated a great variety of them. 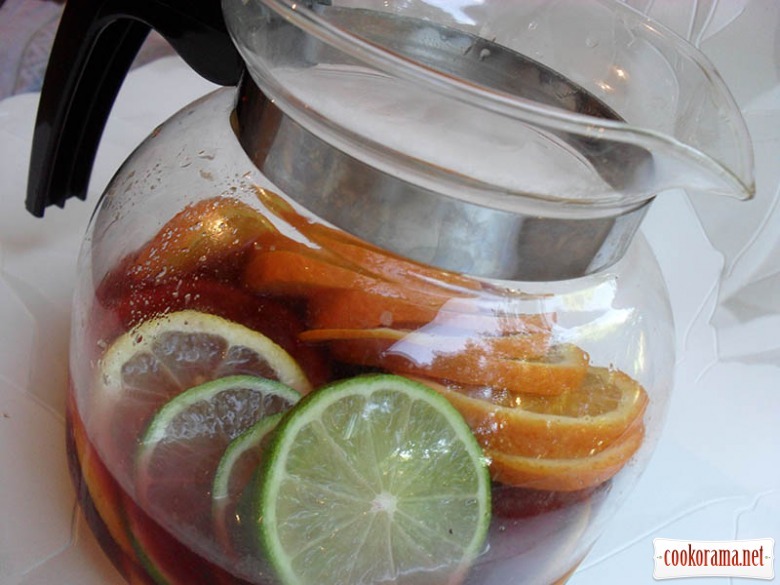 Now everyone can find yourself favorite Sangria. It turns out that the worldwide fame Sangria got only in 1964 after the World's Fair in New York, where it was presented among other drinks of Spanish Pavilion. There is nothing magical in making this easy, and joyful summer drink. To prepare Sangria, Spaniards take a cheap red wine, cheap drinks and fruit, which is always handy enough — usually, it's apples, oranges and peaches. Typically, for taste is added sugar or cinnamon. Types of Sangria In Spain there is no such thing as a «traditional» Sangria, although the standard version of Sangria — with red wine. Usual Sangria: It's always with fruit and sugar, and contains a lemonade. White Sangria: Same as regular Sangria, but as awful it is, with white wine. Cava Sangria: Sangria with Cava — common in Catalan sparkling wine, a local alternative to champagne. The basic recipe of Sangria: The beauty of basic recipe of Sangria is that drink is delicious and easy, and it`s taste only improves, whatever you add in it. Indeed, it is difficult to add the «wrong» element — here are your favorite fruits, spices and strong alcohol drinks. Cut fruits and soak them in strong drink, put in the fridge (better from evening). Yoy can use any strong drink, but better not to use vodka or gin. You can experiment with fruit — very popular kiwi and banana. But especially good peach, it fills drink with beautiful aroma. Red wines in Spain are very cheap (usually bottle costs 1 euro). Spaniards buy cheap red wine for cooking Sangria not to splurge. Mix wine, liquor, fruit and lemonade, add some ice. If you want to try Sangria before serving and you want it to be a little aerated, pour into a glass of lemonade at first, then slowly add the remaining ingredients. Add half of the sugar and sprinkle with cinnamon. Try to taste. If there is not enough sugar, add more. Do not be surprised if you need a lot of sugar. Add ice and serve. Мне раньше так нравилась сангрия.Мы готовую покупали.Давно хотелось дома приготовить.Свет, подала красиво очень! так, це класний напій 100%!